Toshiba unveiled part of its back-to-school PC lineup at Computex today, boasting touchscreen options with edge-to-edge glass at every price point in its Satellite S- and P-series notebooks; its Qosimo X75 enthusiast notebook; and its PX35t all-in-one desktop PC. 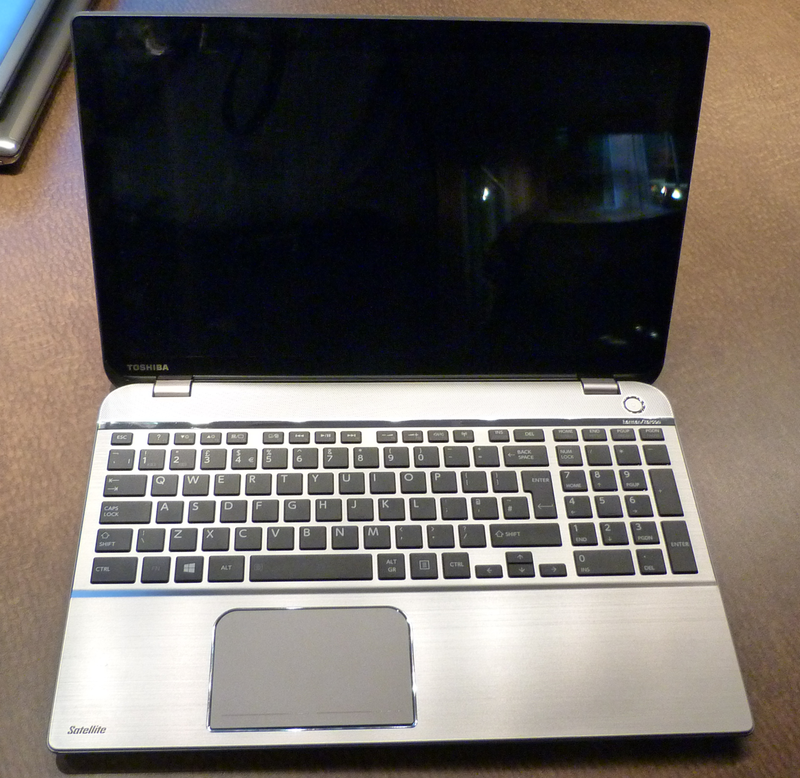 The Qosmio X75, aimed at gamers and PC enthusiasts, is Toshiba’s top-of-the-line notebook (the super-high-res Kirabook remains the company’s best Ultrabook). This desktop-replacement will be powered by a quad-core fourth-generation Core i7 CPU and feature a 17.3-inch display with resolution of 1920 by 1080 pixels. It will also be capable of driving an external display at up to 4K UltraHD resolution—3840 by 2160 pixels—at a refresh rate of 24Hz (that’s the highest resolution and refresh rate the HDMI standard is capable of supporting). 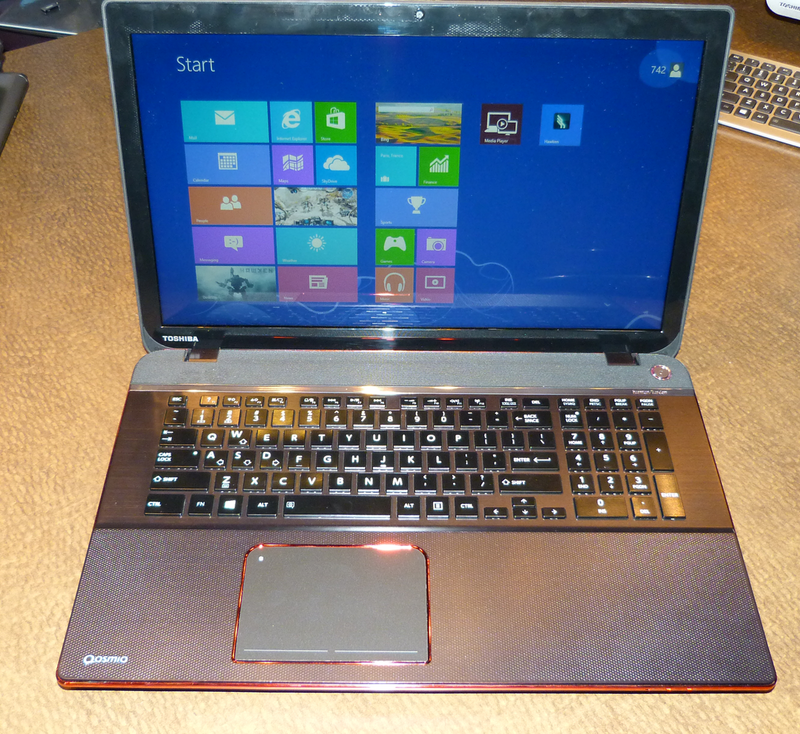 Toshiba's new Qosmio X75 is aimed at notebook enthusiasts. The new Qosmio is outfitted with an Nvidia GeForce GTX 770M graphics processor with 3GB of GDDR5 memory as standard equipment. The Qosmio 75 will use Nvidia’s Optimus battery-saving technology so that the discrete processor is powered on only when it’s needed. When the computer is performing less graphically intense operations, it will rely on the less power-hungry GPU integrated into Intel’s CPU. The Qosmio is aimed at gamers as well as consumers interested in performing photo and video editing, and will ship with a full version of Adobe’s Photoshop Elements 11 and Premiere Elements 11. Qosmio X75 configurations will start at $1,549.99. Toshiba’s Satellite P series will be available exclusively at Best Buy starting on June 9. These notebooks will feature fourth-generation Core processors, although Toshiba has not indicated which CPUs those would be, and discrete graphics in the form of Nvidia’s GeForce GT 740M with a dedicated 2GB frame buffer. As with the Qosmio X75, Satellite P series notebooks will also offer Nvidia’s Optimus technology. P-series notebooks will be available with either 15.6-inch touch or non-touch displays, or 17.3-inch touchscreens. Like the Qosmio X75, the Satellite P will support up to 4K external displays via HDMI. DVD burners are standard, with Blu-ray drives available as options. Prices start at $754.99. Toshiba's Satellite P-series notebooks are a Best Buy exclusive. Toshiba describes its S series notebooks as its “premium performance” line. These machines feature an aluminum chassis with 14-, 15.6-, and 17.3-inch touch and non-touch displays with onboard resolution up to 1920 by 1080, and up to 4K resolution via HDMI to an external monitor. The S series will be available with either third- or fourth-generation Core processors, and with optional Nvidia GeForce GT 740M GPUs and 2GB frame buffers. The Satellite S series will be available on June 9 and will be priced starting at $699.99 for third-generation Core processors and $799.99 for fourth-generation Core processors. Toshiba bills its Satellite S-series notebooks as its mainstream performance offering.